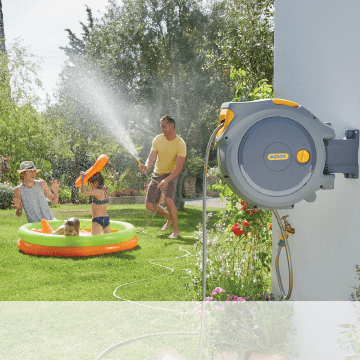 A tap mounted watering controller that can be manually set for a period up to 120 minutes and will automatically switch off to help you save water. 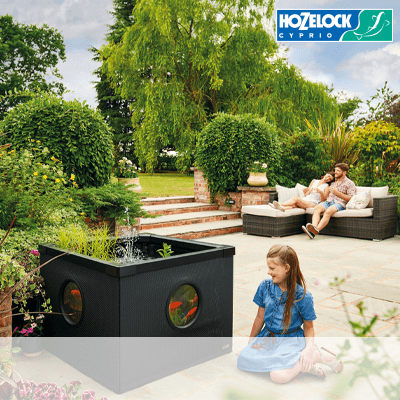 Simple and efficient – The Hozelock Auto Off Controller is simple egg timer type device that allows you to select a watering duration of up to 120 minutes and it will automatically switch off. 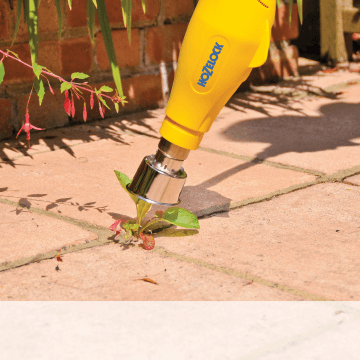 Ideal for use with garden sprinklers – to prevent you from leaving it running for longer than necessary. Simply twist – Set the duration that you need by twisting the dial and it will countdown and switch off when completed. 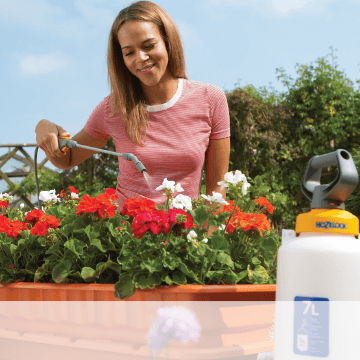 Easy to install – the Auto Off Controller is easy to set up, select the required watering duration from the dial. Easy to use – No complex programming skills required. 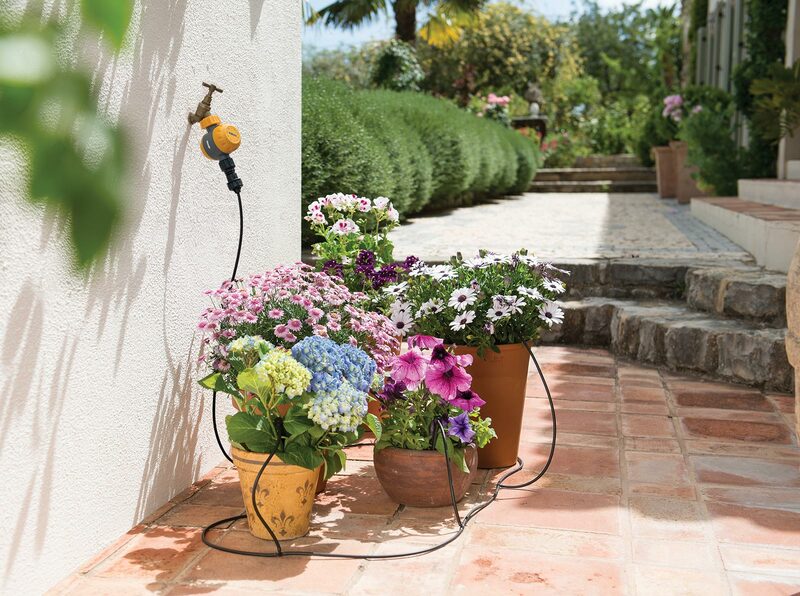 It is supplied with a choice of 21mm (1/2″ BSP) or 26.5mm (3/4 BSP) adaptors for connection to most garden taps. 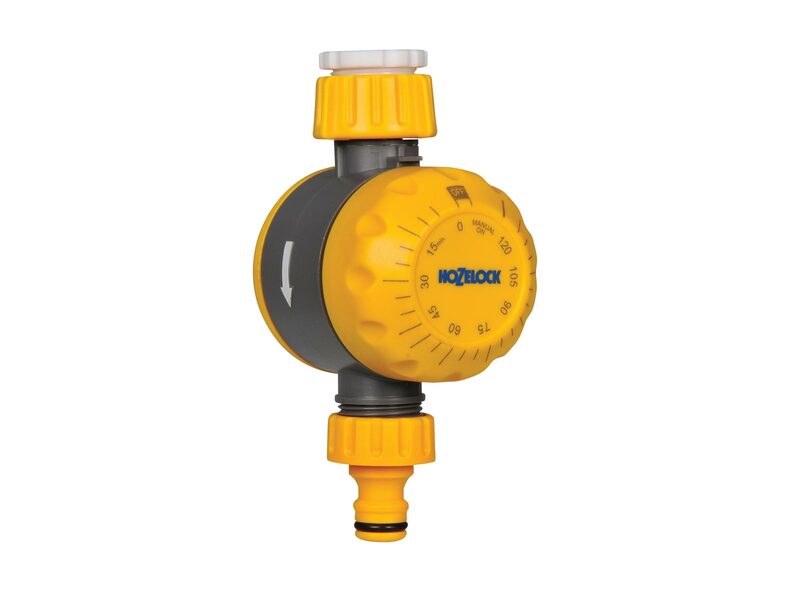 Multi-functional – The Auto Off Controller is a versatile unit that can be used with Garden Sprinklers (up to 10 Bar) or low pressure micro irrigation watering (1.5 Bar). 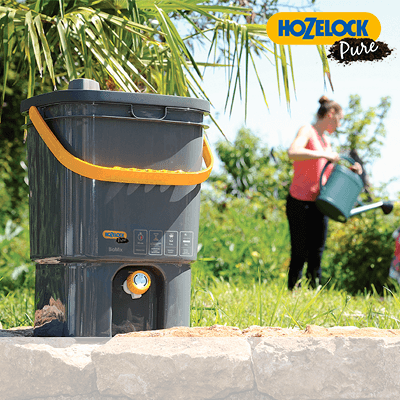 It could also be useful when filling a pond or paddling pool, to avoid wasting water.